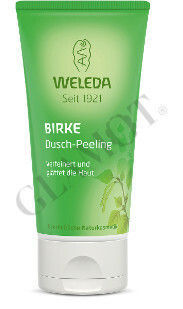 Stimulating scrub to invigorate skin. A weekly peel with invigorating Birch Body Scrub frees your hidden radiance. Wax pearls - the tiny granules are made from natural waxes, especially gentle on the skin and doing no harm to the environment. Free from synthetic preservatives, fragrances, colourants and materials based on mineral oils. Non-polluting.